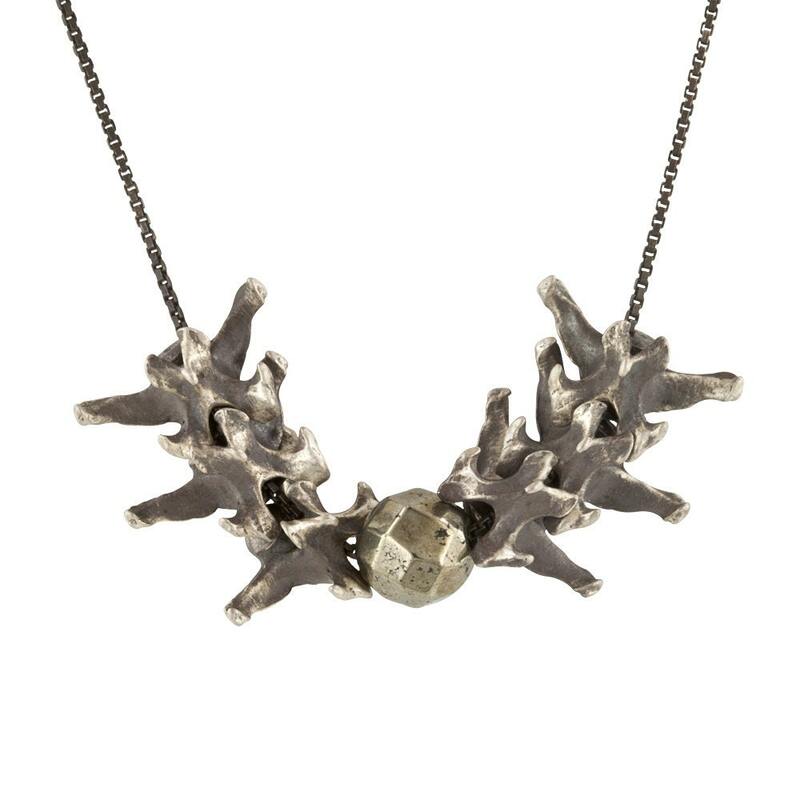 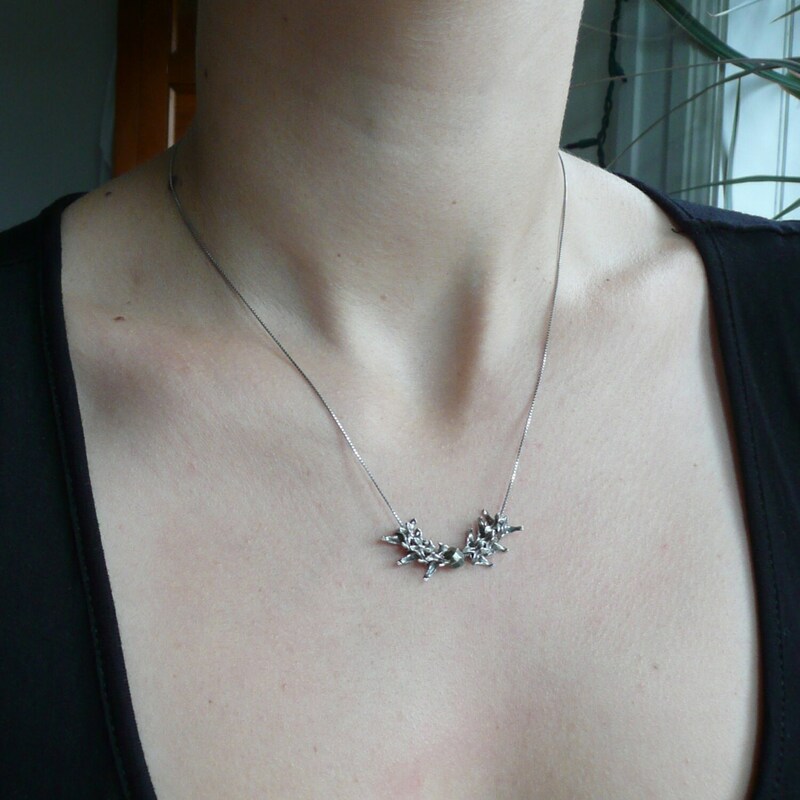 This cool necklace is both delicate and fierce, sweet and tough. 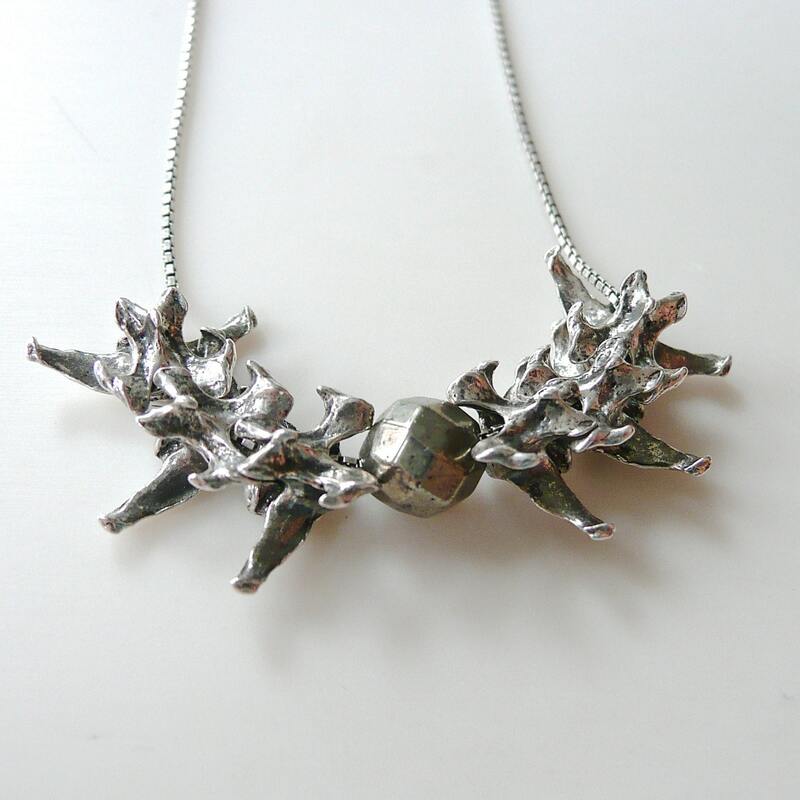 It is made from 6 sterling silver vertebrate cast from real bones and a pyrite bead. 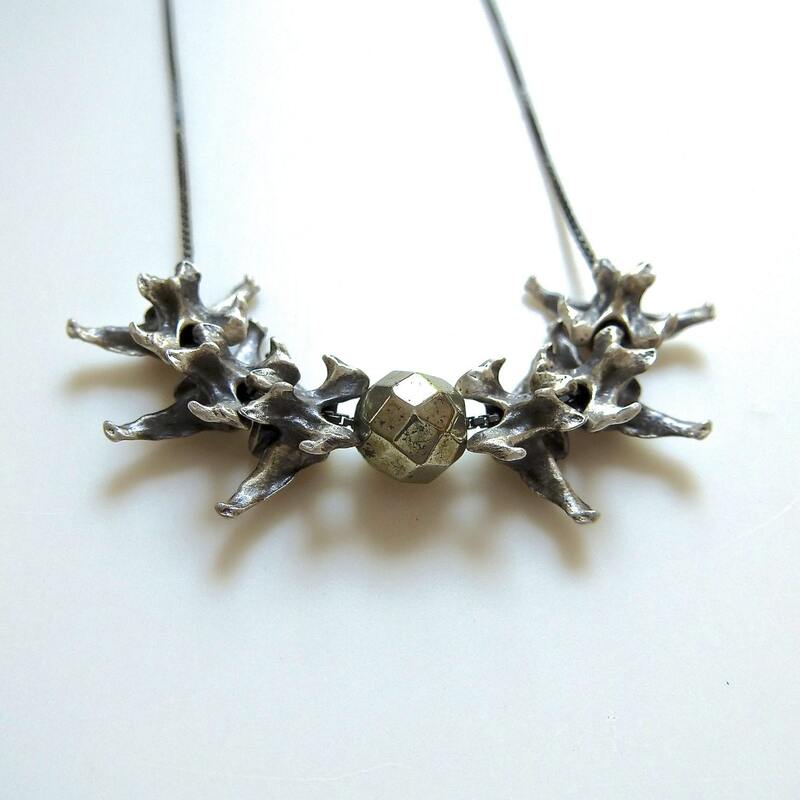 I have given the vertebrate beads a brushed and oxidized finish to create contrast and create the look of aged bones. 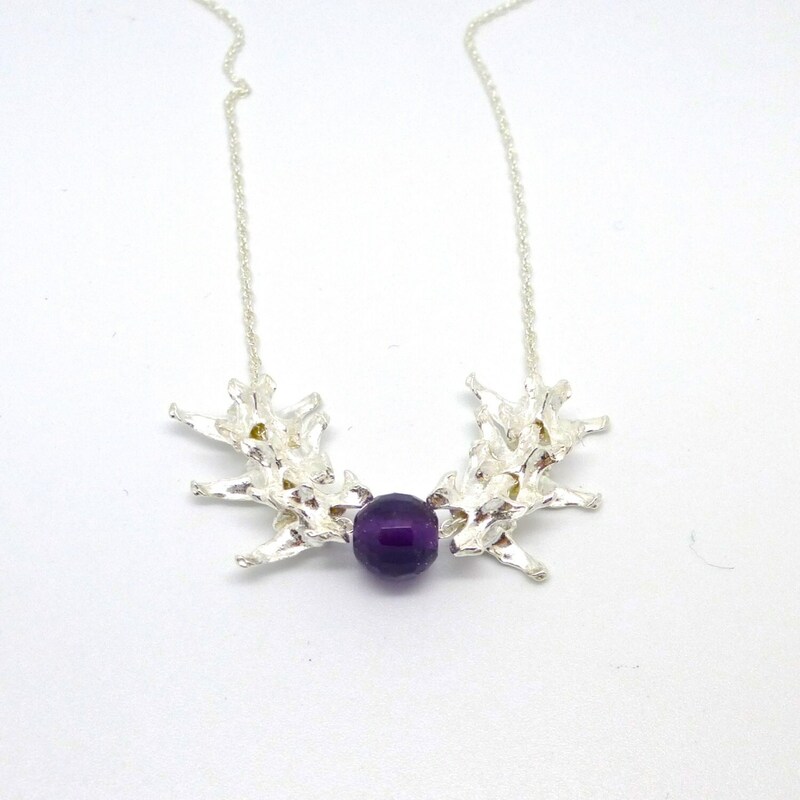 The beads are strung on an 18 inch sterling silver box chain.